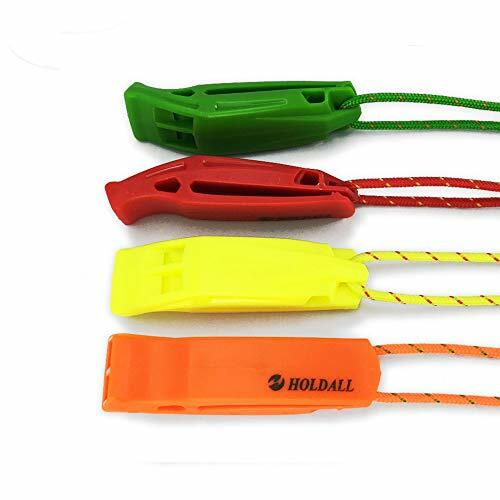 HOLDALL Emergency Safety Whistle with Lanyard for Boating Hiking Kayak Life Vest Survival Rescue Signaling. an emergency, but handy to keep it with your survival kit. A small price to maybe save a life! NON BRITTLE WHISTLE, brightly colored-high visiable, easy to locate if misplaced, a great safety tool. PEALESS DESIGN, no moving parts inside, won't freeze like METAL ones in cold environments. NO WORRY SERVICE, every purchase includes our worry-free warranty and lifetime support. If you have any questions, our friendly customer service team will be more than happy to help out. If you have any questions about this product by HOLDALL, contact us by completing and submitting the form below. If you are looking for a specif part number, please include it with your message.